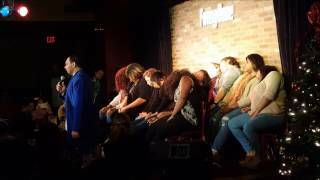 The Funny Bone's favorite hypnotist is back! And this time he's on the teen scene! Bring the kids out for an afternoon filled with fun and laughter! A full food menu as well as soda, coffee, and tea will be available for purchase! Doors open at 1pm. Tickets are $14 in advance and $16 at the door! NO ALCOHOL WILL BE SERVED!